Scotty Devonshire sighed and headed up a set of rickety wooden steps that creaked and moaned beneath his muscled bulk, then reached out to knock on the door—only to discover it was already partially open, the doorframe around the lock splintered and gouged with the telltale signs of a break-in. Apparently the area wasn’t so clear after all. Slowly, he pulled his Glock from the holster at his waist and flicked off the safety. With his free hand, he eased the front door wider and moved cautiously inside. Light filtered in through the gauzy curtains and cast long shadows through the surprisingly tidy living room. Pulse thudding and weapon at the ready, he surveyed the space, then inched toward what appeared to be a dining room. Everything looked beige and bland, with no sign of Nick or Natalie or, for that matter, anyone else living here. No family pictures on the walls, no mementos of any kind. Something squeaked from down the hall and Scotty froze in place, all his finely-tuned SEAL instincts blazing to the forefront. Discover. Assess. Neutralize. His specialty was hand-to-hand combat and direct assault, but nothing beat a 9mm and a full clip at the ready. Several facts bombarded him at once. First, his target was a woman. Second, she was cute. Really cute. Third, she held what appeared to be a spatula as her weapon of choice. Death by batter? “Really?” He raised a brow and relaxed his tense stance a tad. As a martial arts expert himself, he could see by her ridged, downright silly pose that she didn’t have a clue what she was talking about. Not to mention the only thing lethal about her were those curves. With her fiery red hair glinting in the sunshine and her creamy cheeks stained with dots of pink, she looked like a 40s pin-up girl come to life. Hot damn, but she was a fine little thing. He considered himself something of a connoisseur of women—short, tall, skinny, curvy, all ages and races and sizes, Scotty Devonshire loved them—especially redheads. He lowered his Glock and stepped closer. She held her spatula higher and didn’t retreat. She stood half a foot shorter than his own six-three height, making her nose about even with his upper chest, which is where she kept her focus. For some odd reason, he wanted her to look at him directly again, wanted to see the spark of indignation in her emerald eyes. Then he shook his head and scowled. He was here on a mission, here for Nick, here to find files supposedly hidden in a trashy romance novel—the irony of which did not escape him—not to pick up a goddamned date. The woman had cojones, he’d give her that. Hell, there’d been times when he’d been training rookies in Kandahar where one lethal glare from him had the rookies practically soiling themselves. But not her. No, sir. This one, she stood her ground. Scotty found that turned him on all the more. He didn’t answer, just watched her. Interrogation of targets had been part of his military training and he’d put his skills into frequent practice during his SEAL days. The best tactic was to wait it out, let stress and adrenaline work their magic. Eventually they’d talk. Most of them, anyway. Seconds ticked by with agonizing slowness as a whole host of emotions flickered across her delicate features—fear, anger, determination and finally, resignation. At last, she glanced up at him and a tingle of awareness shimmered though his bloodstream at the renewed eye contact. Spring. That’s what the color of her irises reminded him of. The fresh promise of new beginnings. Well, didn’t that just take him back a step. He’d planned to use being Natalie’s nephew as his cover. Damn. Guess that wasn’t an option anymore. Frowning, he scrambled for a new, plausible story. Sounded weird, calling Natalie an aunt, especially since he and Hayley didn’t appear to be that far apart in age. He was twenty-six and he guessed her to be around twenty-four, maybe twenty-five tops. 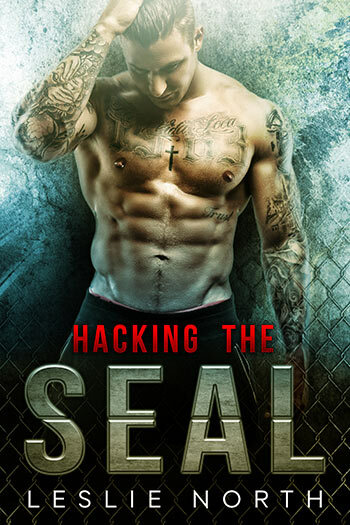 The book ends with the mystery unresolved, but it is clear that this is going to unfold over the next 4 books and each member of SEAL Team 12 will have a part to play in that, as well as discovering or reclaiming the love of their lives. This is an adrenaline pumping thriller that is full of secrets, laced with adventure and tinged with mystery.